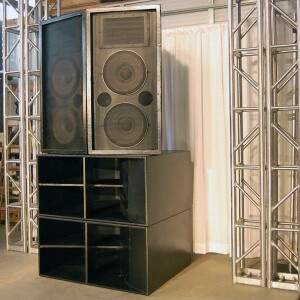 These are our large speaker cabinets. Custom JBL 4733 (Dual 15″ w/ Horn). They are extremely powerful, and we have 12 of each! 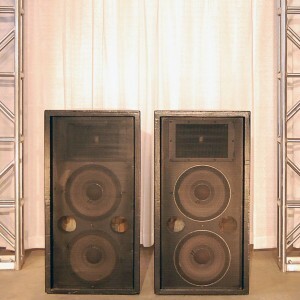 The second picture adds two Custom LAB subwoofers. Please call for pricing.